short circuits from happening or other problems of parts burned. A. Double 6+P6+2PIN: meet the needs of high-end double video card jack. C. Active PFC Line：with the capacity of anti-jamming. D. Active PFC Broadband Design：Supports input of large voltage. F. Supports all Intel and AMD systems. G. Owns the ability to avoid lightning stroke. 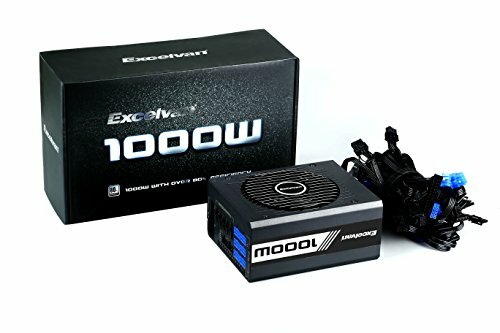 H. Rated power is 1000W，Peak Power is 1200W. O.Compared with others, it owns beautiful appearance. Q.Fully Modular：Simple, beautiful and free line and it just designs for game players. Double 6+P6+2PIN: It meets the needs of high-end double video card jack. Silent Design: The noise is less than 26dB under 100% loading. Active PFC Line: it is with the capacity of anti-jamming. NTC Thermistor: It can prevent short circuits from happening or other problems of parts burned.